Protein is not just for great skin, hair, and nails; it’s critical for health. Without it, you wouldn’t be able to repair damage, digest food, fight infections, build muscle and bone, create hormones, and even think and have good moods. Higher protein diets can help fight high blood pressure, diabetes, and osteoporosis. Not to mention protein’s great benefits for metabolism boosting, satiety (feeling full after a meal), and weight management. Protein is important, and this is a given. There are a few factors to consider when calculating how much protein we need. I go through those calculations with you. Then I list the amount of protein in some common foods. There isn’t a real rule that applies equally to everyone. There are a few factors to consider when figuring out how much protein you need. Start with the minimum recommendation of 0.8 g/kg (0.36 g/lb) per day. So, for a 68 kg (150 lb) healthy non-athlete adult, this is about 55 g protein/day. Mind you, this is a minimum to prevent protein deficiency. It’s not optimal for good repair, digestion, immune function, muscle/bone building, hormones, thinking and great moods. It’s not enough for athletes, seniors or those recovering from an injury, either. If you fall into one of these camps, you may need to increase the minimum protein intake. Aim closer to 1.3 g/kg (0.6 g/lb) per day. Athletes need more protein for their energy and muscle mass. Seniors need more to help ward off muscle and bone loss that’s common in old age. And injured people need more for recovery and healing. As with fat and carbohydrates, eating too much protein can cause weight gain. Extra protein can be converted into sugar or fat in the body. The interesting thing about protein is that it isn’t as easily or quickly converted as carbohydrates or fat; this is because of its “thermic effect.” The thermic effect is the amount of energy required to digest, absorb, transport and store a nutrient. To digest protein, your body needs to spend energy (i.e., burn calories). More calories than when metabolizing fats or carbohydrates. If you’re concerned that high protein intake harms healthy kidneys, don’t be. If your kidneys are healthy, they are more than capable of filtering out excess amino acids from the blood. The problem only occurs in people who already have kidney issues. FUN FACT: Plant proteins are especially safe for kidney health. How much protein is in food? 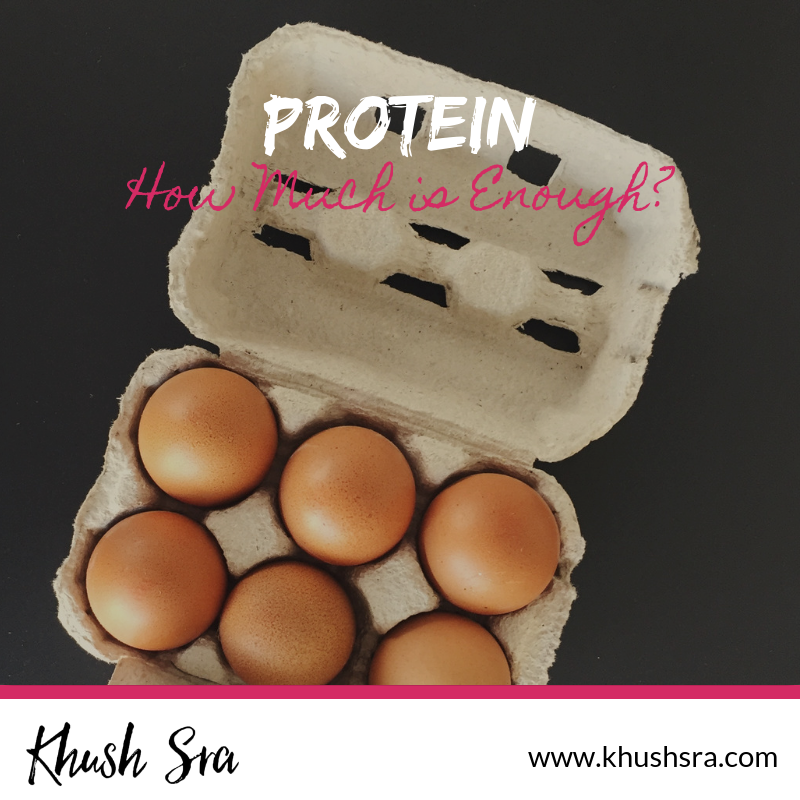 Protein is an essential nutrient we should all get enough of. “Enough” is about 0.8 – 1.3 g/kg (0.36 – 0.6 g/lb) per day. If you’re a healthy non-athlete adult, you can aim for the lower level. If you’re an athlete, senior, or injured person, aim for the higher level. Too much protein can cause weight gain, so it’s best to have just enough. I’d love to know: Are you one of those people who needs more protein? Let me know in the comments. Preheat oven to 450°F. Place a layer of parchment paper on a baking dish. Place the chicken breasts in the prepared dish. Brush on both sides with olive oil. In a small bowl, mix spices until combined. Sprinkle the spice mixture evenly over the chicken on both sides. Bake for 15-20 minutes, or until the chicken is cooked through to at least 165°F at the thickest part. Tip: Serve with lots of veggies.